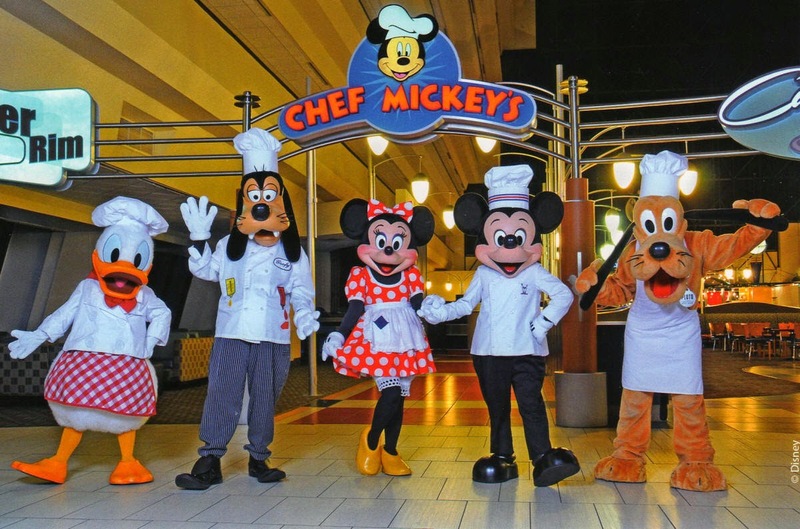 It's been forever since I've written about Disney, so I thought I would take the time to share with you some tips and tricks for eating in Walt Disney World. One of the main reasons for not writing about the parks in so long is because they have changed so much. Not necessarily in attractions, but with the infrastructure. Ever since Magic Bands came into play, things have not been the same. The Magic Bands was a billion dollar project that links everything to one RFID chip in a bracelet (looks like a Fit Bit) that you wear. It acts as your room key, credit card, park pass and fast pass that is managed via a smartphone app. I can talk more about this in detail another time, but my reason for bringing it up is because now every guest has the opportunity to plan every moment of their trip, which leaves the seasoned veterans to be forced to plan it out as well when they wouldn't have otherwise. A lot of things about the new system are positive, just be prepared and plan your trip months in advance. If you have never been before, then this will be easy. But if your like my family who is known for going to Disney on a whim, this can be frustrating as restaurants book up six months out! 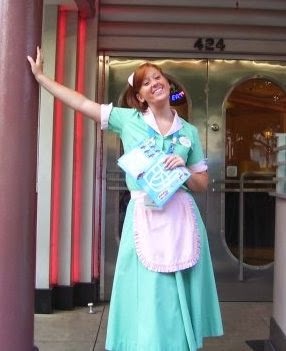 Disney dining holds a special place in my heart since I used to work at one of the restaurants on property. I remember seeing overwhelmed, frustrated and confused parents who just want an air conditioned place to sit and eat a real meal. It always broke my heart when I had to tell them that there was no availability. So in an attempt to make sure everyone gets the most out of their trips, here are a few tips to help make your dining experience a little easier. Plan ahead: For our trip in December we will have 8 people in our group, so planning is key. Dining reservations open up 180 days out, but if you are staying on Disney property, you can book all your dining reservations for up to 10 days past your check-in date. For example, my trip starts December 6th, so on June 6th I was able to make my whole week's worth of dining reservations at one time, instead of calling back every day to book one day at a time. Be persistent: If there is no availability for s specific restaurant, then check back daily. It seems like a daunting task, but it has paid off for me on numerous occasions. People are making reservations and canceling them constantly so don't feel discouraged if at 180 days out, you didn't get all the reservations you wanted. You have plenty of time for things to open up. Just make it part of your daily routine to check the Disney Dining webpage. Be organized: When booking your meals in the parks, I find it best to use your reservations as a baseline for what park to visit each day. For example, If I have a dinner reservation in Epcot, then I will plan on watching the Fireworks in Epcot that night. You don't have to be strict with this, but it serves as a great baseline for when your planning your trip. Share the details: One of the best things Disney does is accommodate. Be sure to tell them any and all allergies. Even if you think you know what to order and what foods to stay away from on a buffet, you probably don't know all the ingredients. If you have an allergy, the head chef of the restaurant will come out and tell you what you can and cannot eat. 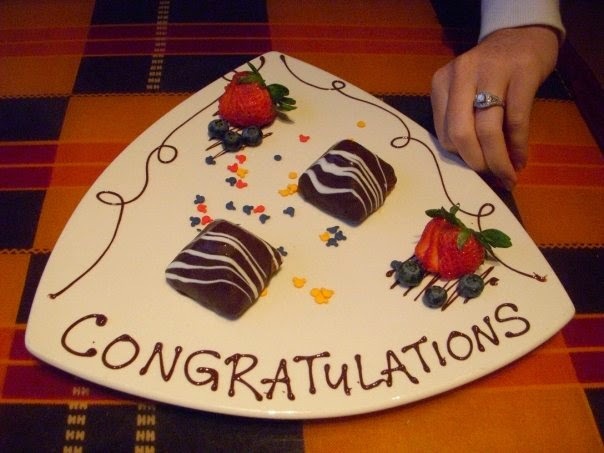 In some instances they will put together a special plate just for you. This is all done at no cost and is an excellent example of their legendary customer service. If you have any type of celebration like a birthday or anniversary, make sure you tell them when you book your reservation. Not all the time, but sometimes they might give you a special little treat to help you celebrate. To be honest, I could go on and on, but this is already getting long so I think I will end it here. If you have any particular questions you would like me to address, I would be happy to write a post about it! Sometimes it's hard to get all the information from my head down on paper, so I figure it's best to take it small bits at a time. I can't wait to visit Disneyworld! My hubby and I are huge Disneyland fans and visit California quite often...we're looking at going cross country next year for our 10th anniversary. Love these tips! I think this is thoroughly unparalleled.